Tech companies are no stranger to allegations of sexual discrimination. Accusations against Uber contributed to ex-CEO Travis Kalanick stepping down, while AR firm Magic Leap was another firm to be hit with a discrimination lawsuit earlier this year. Now, three women have filed a proposed class-action suit against Google, claiming it is biased against women when it comes to pay and promotions. The complaint, filed on behalf of all women who worked for Google in California in the last four years, says the company paid women less than men for doing “substantially similar work under similar working conditions,” and were less likely to be promoted. Lead plaintiff Kelly Ellis, who was hired as a software engineer for Google Photos in 2010, said she was placed in a “Level 3” position usually assigned to college graduates. When a male software engineer who graduated alongside Ellis was hired a few weeks later, he was assigned to a “Level 4” position, which came with a better salary, bonuses, raises, and equity. My hopes for the Google suit: to force not only Google, but other companies to change their practices and compensate EVERYONE fairly. Holly Pease, another plaintiff, joined Google in 2005 and advanced to a senior management role. 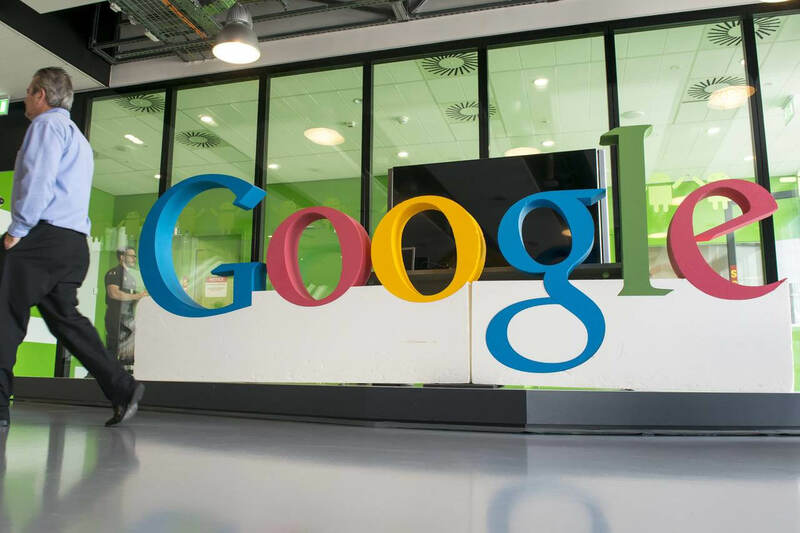 Despite overseeing 50 staff across multiple teams and boasting ten years’ experience as a network engineer before Google, she was considered to be a “non-technical” employee, which limited her pay. The lawsuit says she was denied the chance to gain the “technical” classification and was moved out of engineering entirely when she returned from medical leave. The news comes as the Department of Labor continues to investigate Google over claims of “extreme” gender pay discrimination. The search giant has released a statement defending itself against the allegations made in the lawsuit. "We work really hard to create a great workplace for everyone, and to give everyone the chance to thrive here. In relation to this particular lawsuit, we’ll review it in detail, but we disagree with the central allegations," spokeswoman Gina Scigliano said. "Job levels and promotions are determined through rigorous hiring and promotion committees, and must pass multiple levels of review, including checks to make sure there is no gender bias in these decisions. And we have extensive systems in place to ensure that we pay fairly. But on all these topics, if we ever see individual discrepancies or problems, we work to fix them, because Google has always sought to be a great employer, for every one of our employees." The natural order of life will always be present in our lives. Men are, on average, physically stronger then woman, taller then woman, and are generally attracted to jobs that suit them. Woman are smaller and have smaller hands, making them naturally better at typing, handling caseloads for managers (being receptionists and secretaries) and doing different types of tasks. How many woman are out on oil rigs reparing 100 foot pressure valves or pulling cages on crab fishing boats? How many men are knitting t-shirts and painting nails? The pay fits the job people. 99% of car mechanics are men, 90% of hair stylists are woman. It's not an insult and I am not saying woman can't be CEO's or leaders of men, just saying on average, things naturally fall into place and this carries over into the workforce, where men, generally, have more leadership roles and handle more physically demanding tasks. I think the ratio of men to woman in Manhattan, NY for construction workers is about 25:1, those people sitting on beams 100 stories in the air can have that job! Theinsanegamer and Reehahs like this. C'mon girls, you're being ridiculous now. It's never been about how good you are or how much you know, it's all about 'who you know'. It works the same way for men as well and not just in the tech industry either but in all industries. Always has been, always will be and your lawsuit will change absolutely nothing. If you don't like what's happening, don't complain about it because nobody is going to listen anyway, just get out there and start your own enterprise. It's very tough, I know, and it takes time, I'm talking from experience but once it's established, it will be worth every drop of sweat... and you get to call the shots. This kind of thing kinda pisses me off. Dont use gender, race, sexual orientation as an excuse for you competence. The same thing exist for Men in compagnies, I just took a Lead Programming role in a new place and im the youngest of the team, what does this mean, well that I have better management skill and I can lead a team. Do you think my guys should sue since its a discrimination has they have more experienced and im getting a better pay and advantages ? No, I worked my *** off because my goal was to gain this position. There are too many unknowns (which is normal since this is an article and not a court room) to make any proper assessment. I would not be surprised if at least one of them are legit. I say that because stuff does happen and the bigger the company the bigger the chances of it happening. Also, I have known people that live with a chip on their shoulder and just waiting to be offended or whatever. I do believe that men and women are different. Both have different strengths and weaknesses. If person X and person Y can do the same job then they should be of equal tier. But how do you figure that out in a job interview? The only guarantee win in this lawsuit, or any other lawsuit, is the lawyers. Only in US. And the retarded thing is that they might win or at least settle because google will most likely want to avoid bad publicity. The irony is that probably google has a thousand policies in place to avoid being blamed for this exact kind of thing up to the point that they will hire a crappy employee just to make the numbers and maintain a balance between genders. Yet it looks like if people are determined to sue you, they will sue despite the reality.